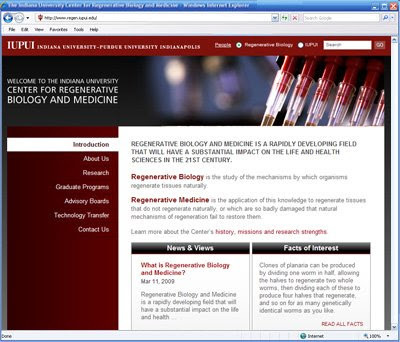 TBH Creative is happy to announce the launch a newly redesigned web site for The Center for Regenerative Biology and Medicine (at IUPUI). 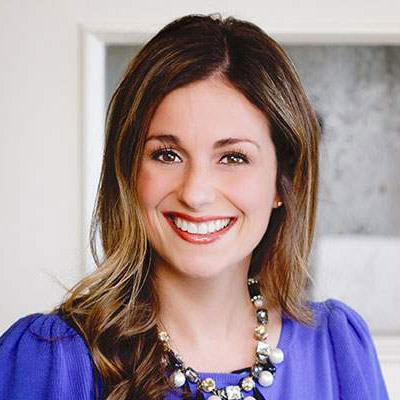 TBH Creative helped the center update their web design to match University branding strategies, rework the home page messages, set up some social networking, and routine maintenance of content. The revised web site launched today and you can visit it at http://www.regen.iupui.edu/. About the Center The Center for Regenerative Biology and Medicine (CRBM) was established in 2001 on the Indianapolis campus of Indiana University, Indiana University-Purdue University Indianapolis (IUPUI), through a grant from the State of Indiana 21st Century Research and Technology Fund. The administrative home of the CRBM is the Department of Biology (http://www.biology.iupui.edu/) in the School of Science (http://www.science.iupui.edu/). Multidisciplinary research aimed at understanding the cellular and molecular mechanisms of regeneration. Translation of basic research findings into regenerative medicine therapies through technology transfer. Graduate education leading to Biology MS and PhD degrees in regenerative biology and medicine. Need an updated web design to match new branding or just keep up with new online design trends? Contact TBH Creative to discuss your web project today!